Would you like some exciting fresh, um, indie music to brighten up your day? Of course you do! 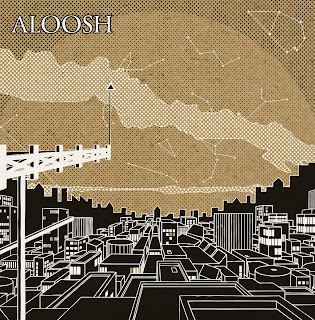 And boy do I have a treat for you - here's Aloosh and their eponymous 2010 debut. 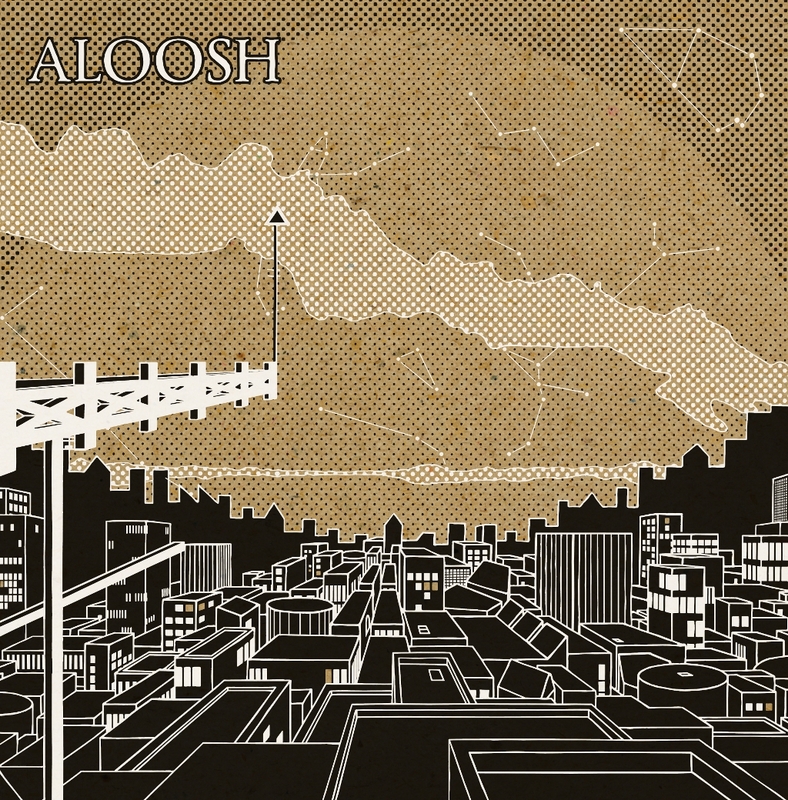 Now, the thing is, it's really tricky to try to pigeonhole Aloosh's sound. It's got nice, catchy melodies but it's not pop. It's got guitars too but it's hardly rock either. Some of the songs even have some electronic elements but... yeah, you get the point. One could simply call it 'indie' but as a matter of fact I've come to kind of hate the word. I mean, what does it even mean anymore? Originally it was used to refer to bands who released music on small, independent record labels with a DIY approach. Low budgets forced these bands to be creative, and they prided themselves on their autonomy and independence from the music industry that was mostly concerned with chart positions and album sales instead of artistic expression, creativity etc. These days, however, almost anything can be called indie. People call even big (and not necessarily always that 'independent') music acts such as Arcade Fire, Muse and Lana Del Rey 'indie'. Hell, I once saw One Direction of all things being billed as indie! In other words, anything that feels different from the very limited idea of mainstream music is arbitrarily labelled as indie, which used to happen to the term 'alternative' as well (there was a time when all the rock acts seemed to play 'alternative rock', even the chart-topping ones, which does feel a bit contradictory). In essence, the problem is that 'indie' is referred to as if it were a genre of its own, which it obviously isn't. If I told you about a new band and only described it as 'indie', it would be kind of impossible for you to guess how the band actually sounds like - it could be anything from overaged garage rockers living in your neighbourhood to an experimental underground ukulele techno collective from Estonia. Subsequently, the word has suffered an atrocious inflation. Every once in a while, however, bands emerge that simply defy all attempts to exhaustively describe them with easy genre types, and few do that quite as adeptly as Aloosh does. I've had it in my mind for a long time to write about the band but I just kept postponing it, not knowing how to write about their music. An unnecessarily overused quote about dancing and architecture springs to mind. The duo succeeded in creating a very distinctive mixture of styles even on their first recording, their self-titled debut EP Aloosh. This partly explains - I assume - by the duo's different backgrounds: whereas singer Jodie Scantlebury started out as a jazz singer, the other half Alastair "Ally" McNeill (otherwise known as 'Yila') has his roots in experimental electronic glitch music. Anyway, the EP. It is indeed a very outlandish one, combining an experimental approach to popular music with jazzy influences. Fittingly, Jodie lists older jazz artists such as Ella Fitzgerald as her own influences, while saying that Ally is more inspired by modern experimental bands such as Dirty Projectors and Deerhoof. As any avid music listener knows, there is a fine line between 'experimental genius' and 'pretentious artsiness' - take the aforementioned Dirty Projectors for example, constantly bordering between the two - but Aloosh stays firmly on the former side, and the eclectic outcome sounds very unique and artistic without coming across as forced. The album kicks off with "Black Angel", a song that sounds like a love child of soft indie rock and 21st century modern jazz, if that makes any sense. The song does, anyway. Complete with a peculiar time signature, it perfectly introduces the listener to the duo's curious style. "Citrus" is a more energetic and straightforward track driven by guitars and a low-pitched synth riff, while "Louise's Funky Pocket" is a return to the duo's quirky jazz-influenced style of "Black Angel". "Separate", the longest track on the record and a slowly unfolding melancholic number serves as the centrepiece of the EP, ultimately building up into a glitchy, mesmerising crescendo. Finally comes "My Cold Heart", ending the EP on a more upbeat note while leaving the listener craving for more. While being only 5 tracks and 19 minutes long - well, it is an EP after all - it does provide a captivating sampler of the eccentric, creative world of Aloosh. It was more than enough to convince me of the band being one of the most inspiring and promising 'indie' acts of the 2010s. As of 2013, they still remain criminally underrated and underknown (despite releasing a full-length album Ceramic last year) but should one ever give two shits about a band's popularity or the lack of it? No! And should one rather just give new music a chance to blow one's mind away? Yes!